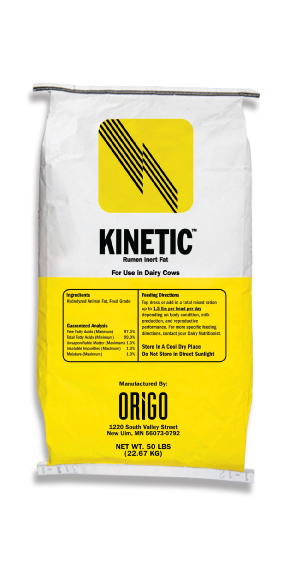 Kinetic™ - Premium Dairy Fat Supplement - ORIGO - Supplier of High-quality animal fats and vegetalbe oils. 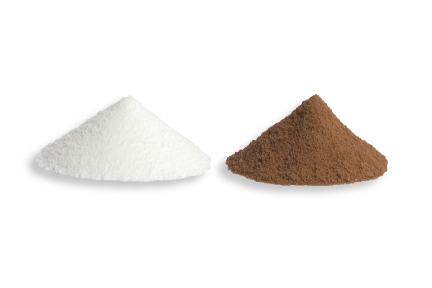 Look at the difference between Kinetic (left) and the leading dry fat dairy supplement. Because Kinetic is made from 100% distilled animal fat and not a blend of various fat sources and by-products like other dry fat supplements, it comes in pure white prills. 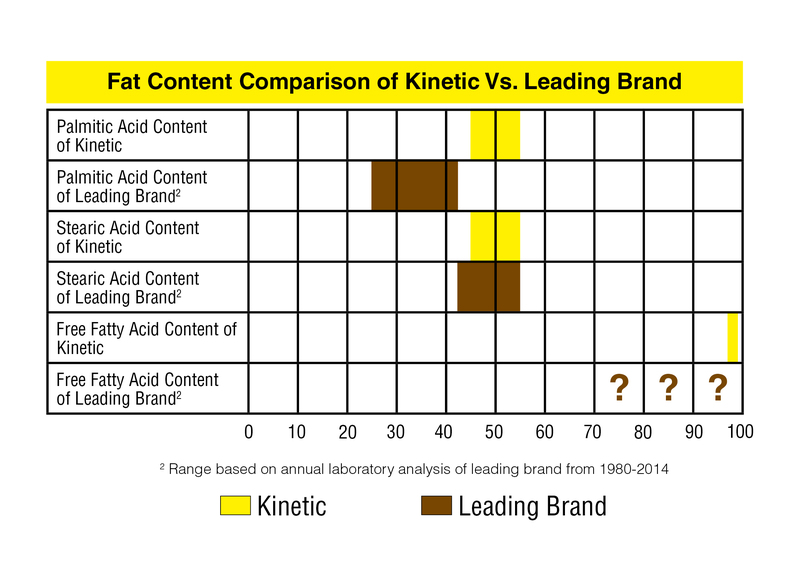 So every time you open a bag of Kinetic, you’ll see the same consistent formulation.